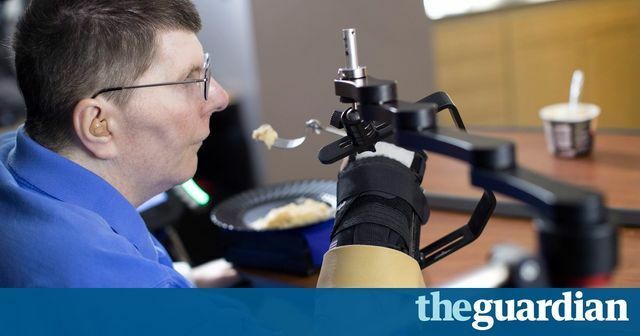 Research published in the Lancet claims a world first - a man, paralysed from the neck down, has been able to drink a cup of coffee and feed himself by thinking about it. The use of implanted sensors, virtual reality training and electrical stimulation of peripheral muscles and nerves has created an outcome that feels straight out of the pages of a sci-fi novel. “The goal is futuristic: a paralysed individual thinks about moving her arm as if her brain and muscles were not disconnected, and implanted technology seamlessly executes the desired movement … this study is groundbreaking as the first report of a person executing functional, multi-joint movements of a paralysed limb with a motor neuroprosthesis,” said Dr Steve Perlmutter from the University of Washington, in a linked comment in the Lancet.